Traditional Hari-Nama Chadar. 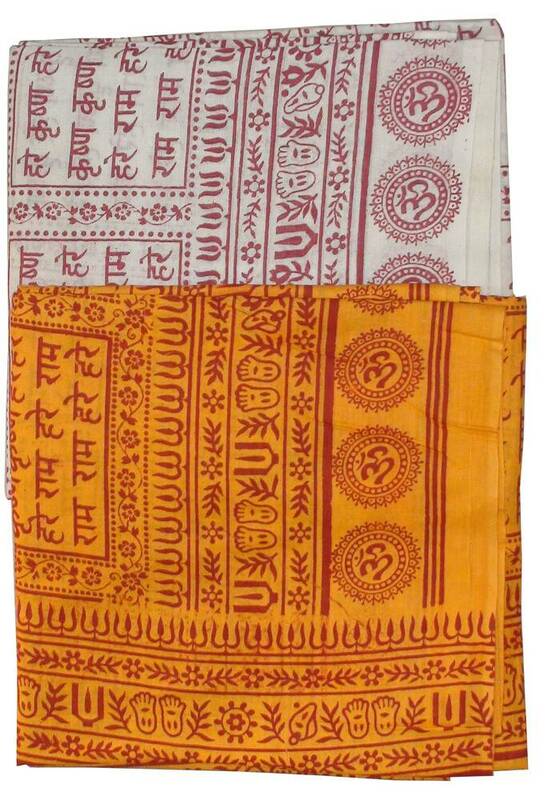 This is a chadar / shawl which has the Hare Krishna maha mantra written on it in the Sanskrit Devanagri Language. Harinama Chadars are traditionally worn by devotees of Krishna when they perform Harinam Sankirtan or the public chanting of the Hare Krishna maha mantra. They are very auspicious as they contain the Lord's holy name and can be worn at any time. Hari Nama chadars are available in the traditional orange color and also in white. Size: 82-88 inches by 42-44 inches.